You’re a SaaS business. You've been acquiring customers and on average they're worth about X. 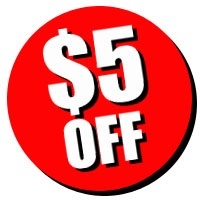 Somebody clever suggests a promotion, "$5off your first order". We're the #1 online – and the only nationwide – marketplace for business catering in the United States. We make it easy to order food online for your office. From routine office lunches to offsite client meetings, from 5 to 2,000 people, we have a solution for you. ezCater connects business people with over 50,000 reliable local caterers and restaurants across the U.S.
We’re always looking for highly skilled full stack and iOS engineers to help execute our technology goals while riding this rocket ship of growth. Our people are terrifically talented straight-shooters who love what they do. And everyone is generous and kind, too — we have a strict no jerk policy.